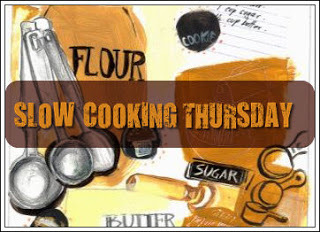 I am linking today to Sandra’s blog for Slow Cooking Thursday. (I have done this in the past, but fell off the linking band wagon… It’s nice to be back!) Head on over and check out the other tasty options for your crock pot! 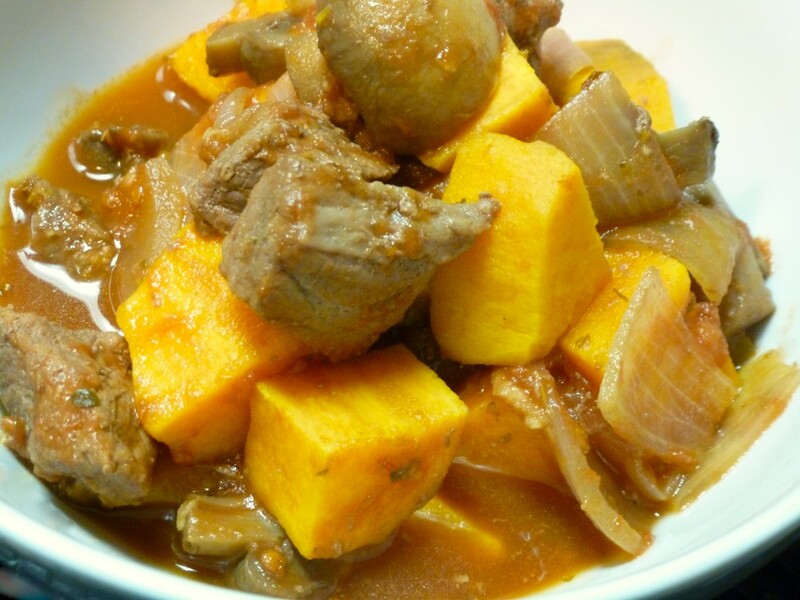 Printable recipe card for multiple batches of Bison & Sweet Potato Stew for the freezer. This fills a 6 quart crock pot. Place bison, sweet potatoes, mushrooms, shallots, garlic, wine, rosemary, salt and pepper in a 6-quart slow cooker; stir to combine. Put the lid on and cook on low until the potatoes are tender, about 5 hours. Before serving stir in vinegar and parsley. To freeze: Put all ingredients for one batch into a gallon-sized zip sealed freezer bag. In a small freezer bag package vinegar and parsley. Remove as much air as possible from both bags, seal, package together, label and freeze. 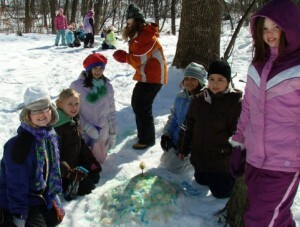 To serve: Thaw. Put contents of large bag into slow cooker and stir. Cover with lid and cook on low 5 hours. Before serving stir in vinegar and parsley. Serve over rice or pasta and add a side salad. We can get bison at our health food stores and the grocery store, Byerly’s. At a grocery store it is usually with the grass-feed, organic, and “natural” meats.